Positive: Solid workmanship; compact size; light weight; excellent display; powerful hardware; nice connectivity; long battery life. Negative: Noisy under loads; overheats while using. Positive: Compact size; stylish design; metal case; great built quality; slim size; light weight; frameless; excellent display; backlit keys; good ergonomy; fast fingerprint sensor. 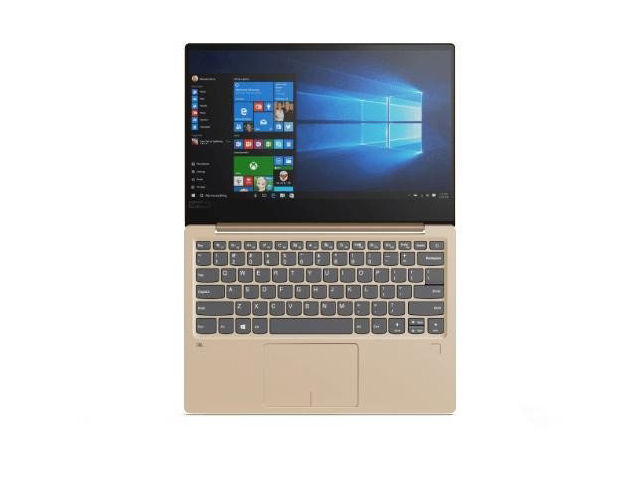 The Lenovo IdeaPad 720S-13ARR 81BR0028MH is a compact and powerful 13.3-inch laptop on which users can perform heavy tasks such as video editing. 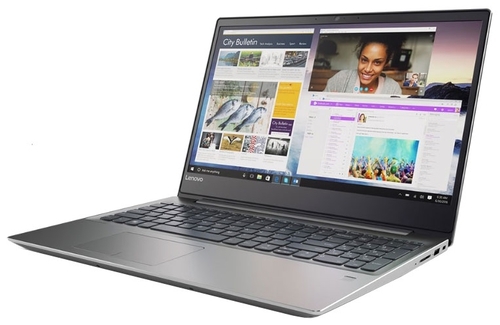 But not only at home, as this Lenovo IdeaPad is lightweight (1.1 kg) and slim (1.36 cm thin), so this laptop can be used on the way to school or work. 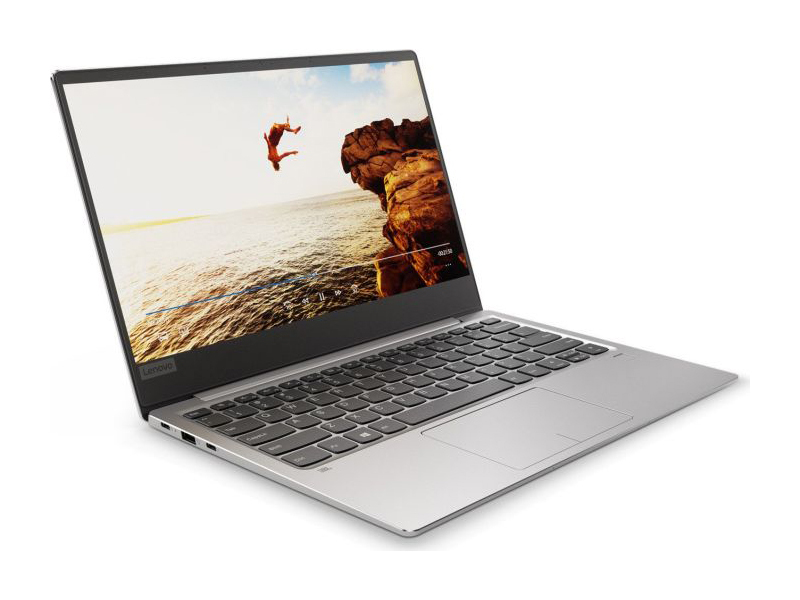 The device has a 256-GB PCIe SSD, which makes it faster than laptops with a mechanical hard disk drive. After having turned on the laptop, users can start working in about 15 seconds. 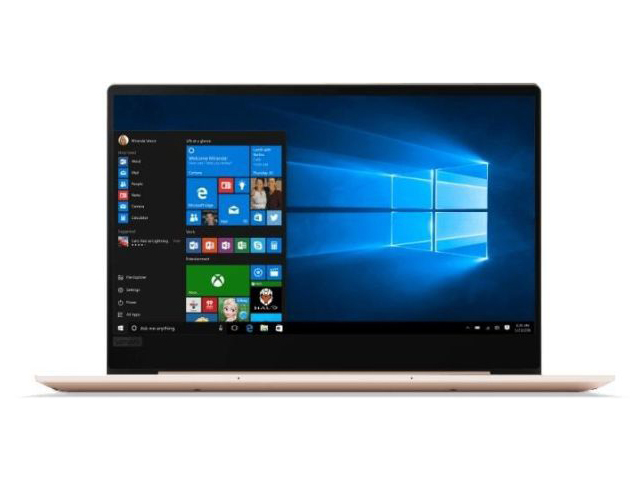 You can log on to this laptop with Windows Hello and the fingerprint sensor, no need for a password. In low-light environments, the illuminated keyboard offers a solution for typing. Lenovo has made the housing largely of aluminum, the whole is well assembled and feels solid. It is thin, but does not bend easily when pressed. 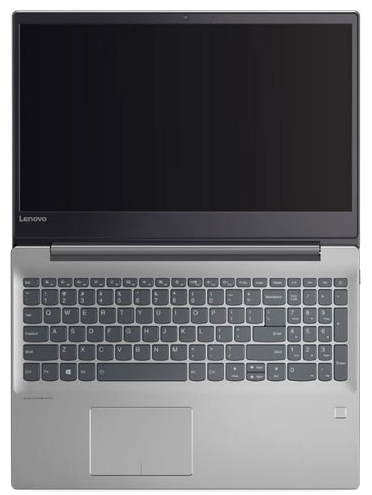 Despite the thin casing, Lenovo still found space for USB-3.0 connections with a Type-A connector. There is one on both the left and the right side. Furthermore, the 720S has two USB-C ports. 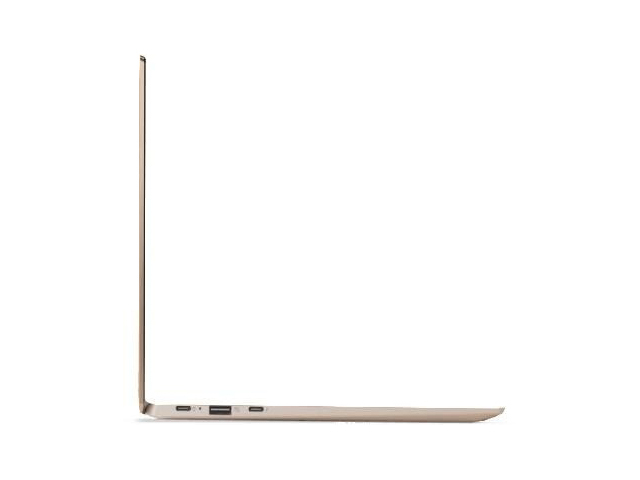 Lenovo also includes a USB-C charger. However, it is unfortunate that the company has omitted a card reader. The built-in fingerprint scanner is in a handy location, on the right side of the casing. 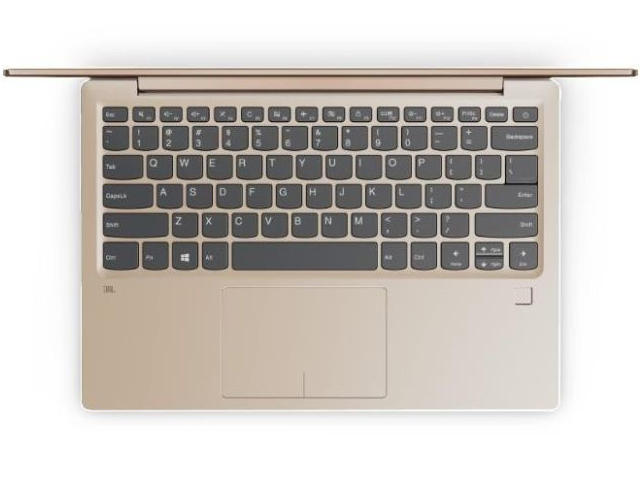 On some other laptops, the scanner is in the touchpad, which can be inconvenient while operating the mouse cursor. 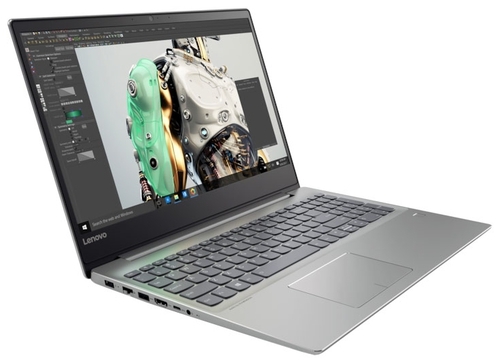 Therefore, Lenovo has found a nice solution. Additionally, the Synaptics scanner works quickly, which is another plus. 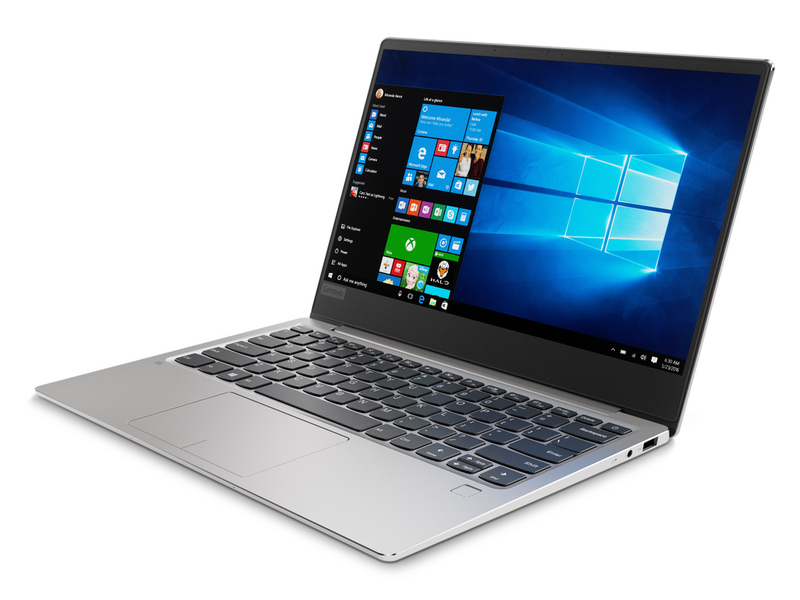 The Lenovo IdeaPad 720S-13ARR is similar in hardware to many other thin and light laptops in the same price range. 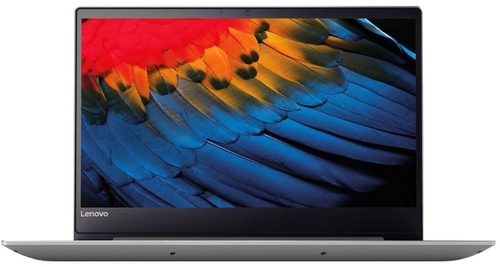 Users get a quad-core processor, 8 GB of RAM and a 256-GB SSD. 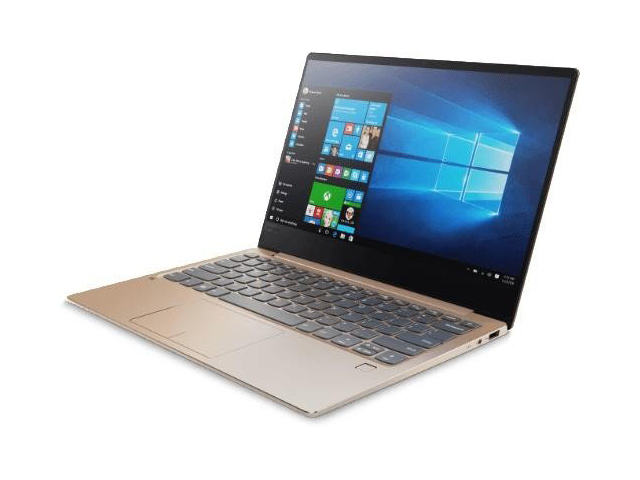 The big difference is that this laptop uses a Ryzen Mobile processor instead of an Intel Core one. 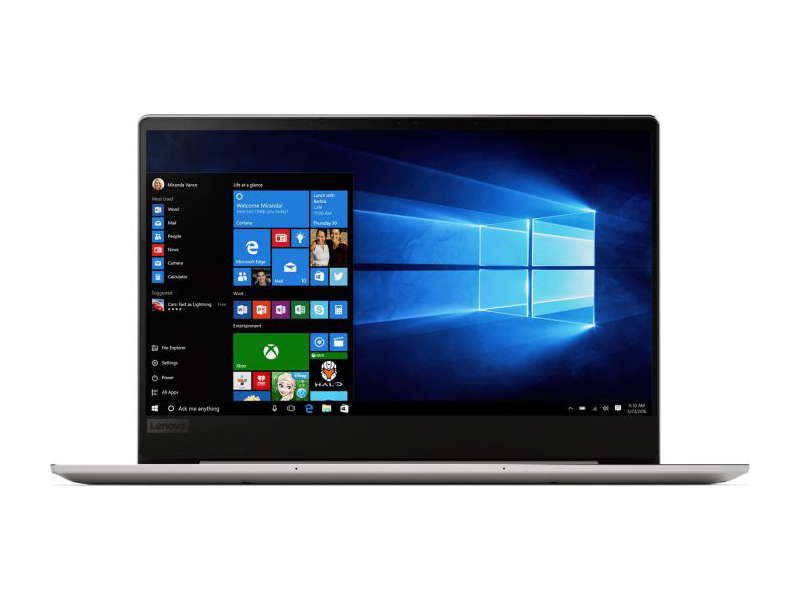 The Ryzen 7 2700U in this laptop has a Vega 10 GPU, which is much more powerful on paper than the iGPU Intel puts in its laptop processors. The integrated GPU from AMD benefits from fast memory, preferably placed in dual channel. 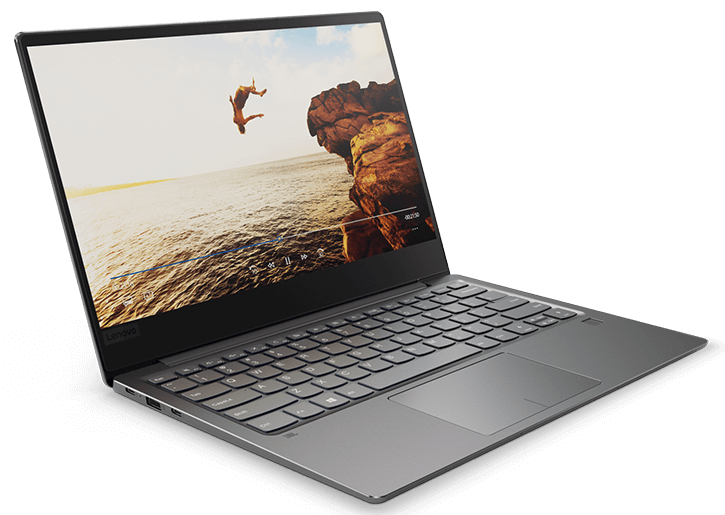 It is therefore a pity that Lenovo has opted for single channel memory on the 720S. Moreover, the fact that the RAM is DDR4-2133 raises concerns, since this type is slightly slower than DDR4-2400. 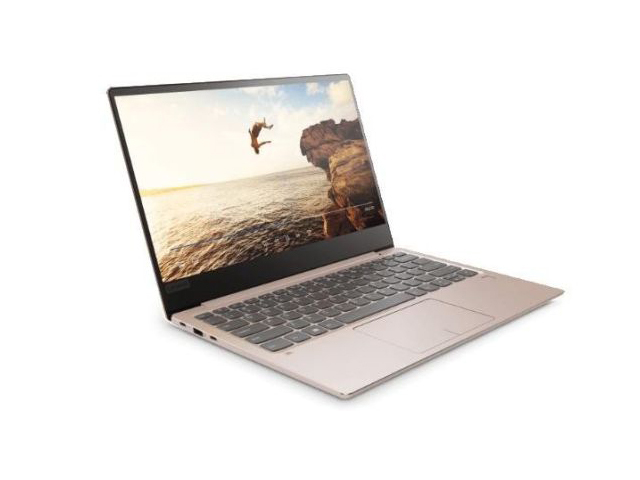 The 13.3" screen of the 720S-13ARR is an IPS panel from the LG Philips factory with a resolution of 1920 x 1080 pixels and a refresh rate of 60 Hz. The panel has FreeSync in combination with the Vega GPU. This results in smooth reproduction, even if the frame rate is lower than 60 FPS. 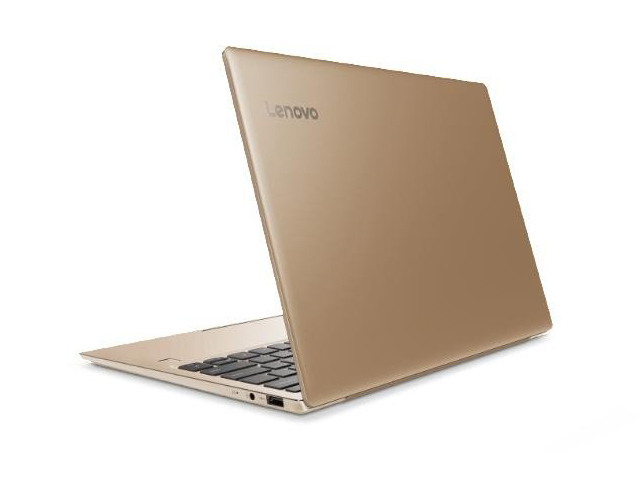 Lenovo has opted for a matte finish of the panel to minimize reflection. Positive: Solid workmanship; premium design; powerful hardware; nice display. Positive: Compact size; light weight; good price; elegant design; high mobility. 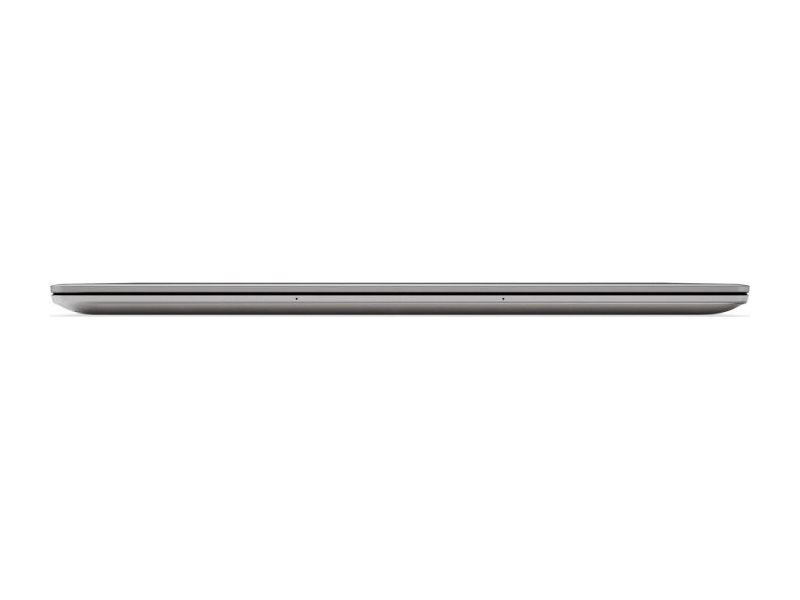 NVIDIA GeForce 940MX: Mid-range laptop graphics card based on the Maxwell architecture. Compared to the older 940M, the MX now also supports GDDR5 graphics memory and maybe slightly faster clock speeds.AMD Radeon RX 560 (Laptop): Based on the Polaris 11 or 21 and therefore the mobile version of the Desktop RX 560.AMD Vega 8: Integrated graphics card of the Ryzen APUs based on the Vega architecture with 8 CUs (= 512 shaders) and a clock of up to 1100 MHz.NVIDIA GeForce MX150: Pascal GP108 based laptop graphics card and mobile version of the desktop GeForce GT 1030. Offers 384 shader cores and usually 2 GB GDDR5 with a 64 Bit memory bus. Manufactured in 14nm.AMD Vega 10: Integrated graphics card of the Ryzen APUs based on the Vega architecture with 10 CUs (=640 shaders) and a clock of up to 1300 MHz.Modern games should be playable with these graphics cards at low settings and resolutions. Casual gamers may be happy with these cards. 7200U: Kaby-Lake based SoC with two CPU cores clocked at 2.5 to 3.1 GHz, HyperThreading and manufactured with an improved 14nm process.8250U: Kaby-Lake-Refresh based low power quad-core processor. The four cores are clocked between 1.6 and 3.4 GHz (Turbo Boost) and support HyperThreading. The integrated GPU is clocked between 300 and 1,100 MHz. The SoC is manufactured in a 14nm+ FinFET process. Intel Core i7: The Intel Core i7 for laptops is based on the LG1156 Core i5/i7 CPU for desktops. The base clock speed of the CPUs is relatively low, but because of a huge Turbo mode, the cores can dynamically overclock to up to 3.2 GHz (920XM). Therefore, the CPU can be as fast as high clocked dual-core CPUs (using single threaded applications) but still offer the advantage of 4 cores. Because of the large TDP of 45 W / 55 W, the CPU is only intended for large laptops. 80.76%: This rating should be considered to be average. This is because the proportion of notebooks which have a higher rating is approximately equal to the proportion which have a lower rating.» Further information can be found in our Notebook Purchase Guide.